I was going through photos from a trip I took a couple years back where my family and I did a massive road trip through Arizona and California. 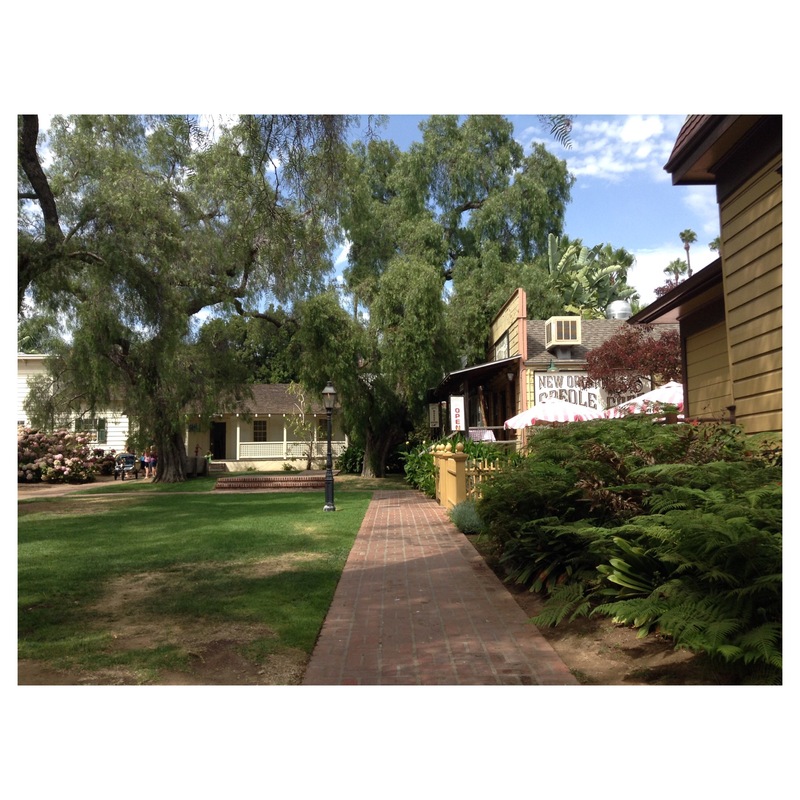 I particularly remember how excited I had been to visit the Whaley House in San Diego as I had seen a couple ghost hunting shows about the place and it was on my list of places I wanted to visit. I’m extremely interested in the paranormal, and everywhere I go I try to find historic sites and landmarks that are said to be “haunted” and check them out. I’m very sensitive to what I believe to be left over “energy” and when I enter old buildings or homes, I sometimes feel this strange humming feeling, kind of like the hum of electricity you feel when standing next to power lines. It’s like a dull ringing in my ears and I can’t quite explain it. I’ve had experiences in the past which I hope to write a post about it one day if anyone is interested in reading it. 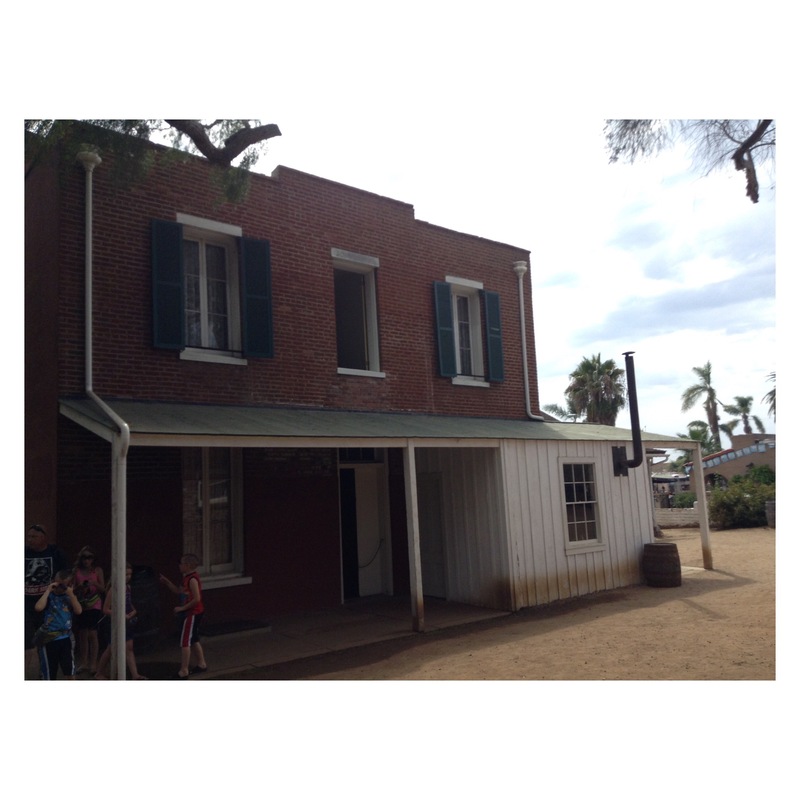 The Whaley House is located in Old Town San Diego and is an old historic residence turned museum. It is actually called “The Most Haunted House in America” because apparently strange happenings have been taking place there since it opened as a museum in the 1960s. 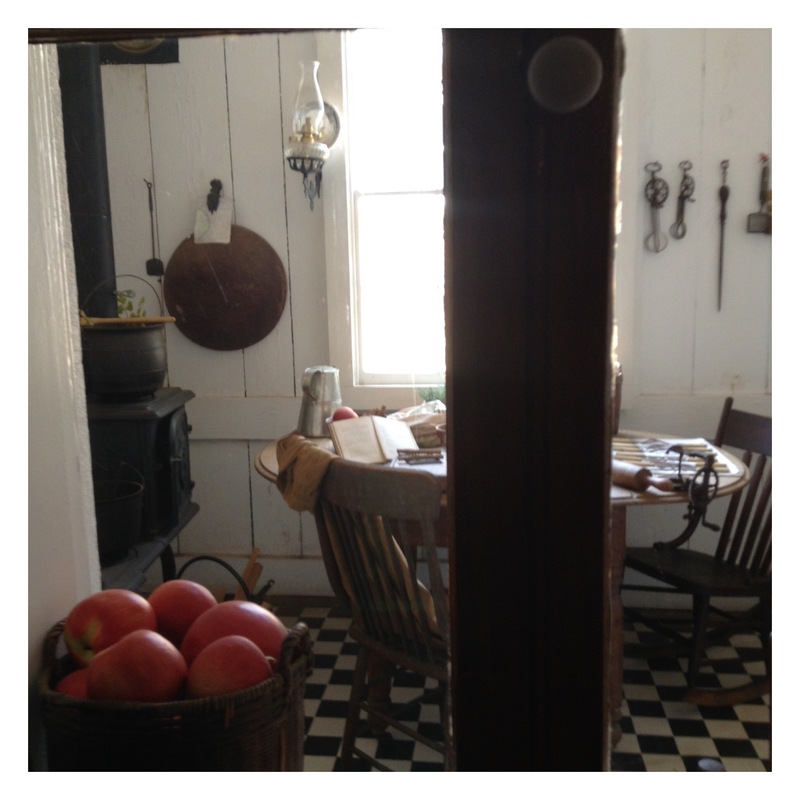 The interior of the house was made to look exactly as it would have in the 1800s when the original owners lived there. 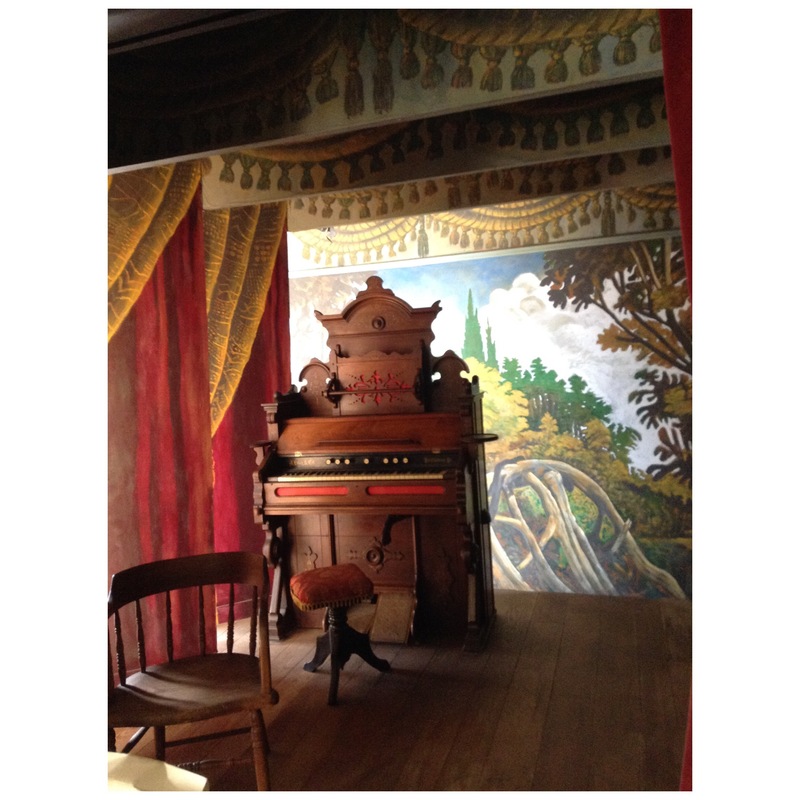 Some of the rooms are barred off from entrance by plastic walls so that people don’t touch and ruin any of the antique furniture or valuables, and the only rooms that you are allowed to fully enter are a couple rooms on the main floor. 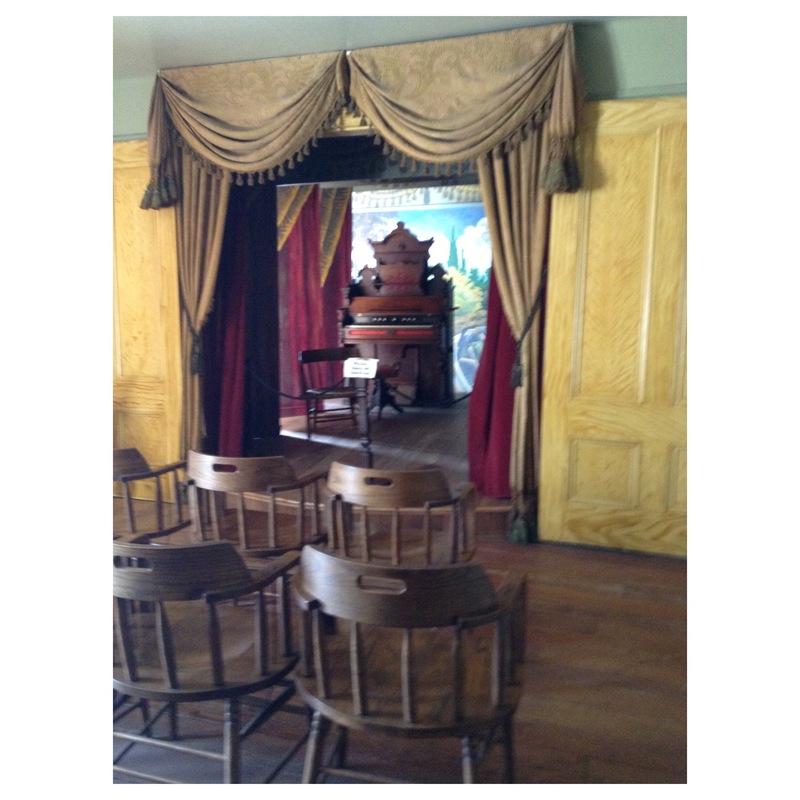 What I find interesting about this house that I didn’t expect was that the house was not only a residence but contained the town courtroom, a small grocery type store, and a small theatre room equipped with a stage and aisles of seats. I wonder if the house took on all of these different roles at a single time or if these different functions came in seperately. Wouldn’t it have been weird to have your bedroom right above the floor where a court preceding was going on? 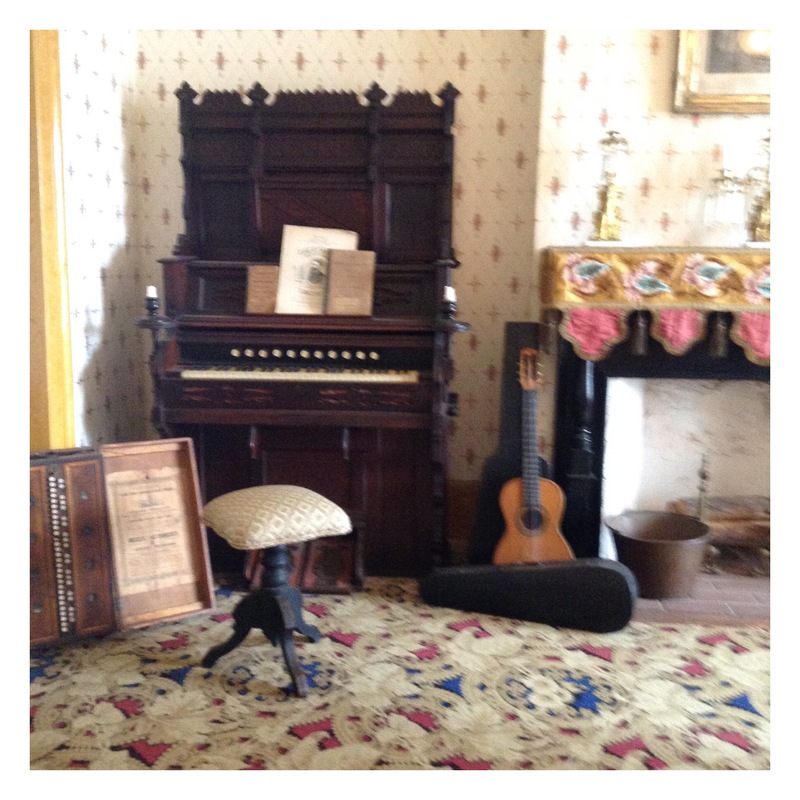 I was happy that we visited the house in low tourist season as my family ended up being the only ones walking through the house at that time, and only one employee was there. I liked being able to walk through the house at my own pace, because I like to take in every detail of every room and I don’t like feeling rushed if there is a crowd of people behind me. On the main floor, as soon as you enter the house you find yourself in the room that acted as a grocery store where antique shelves and display cases still stand. 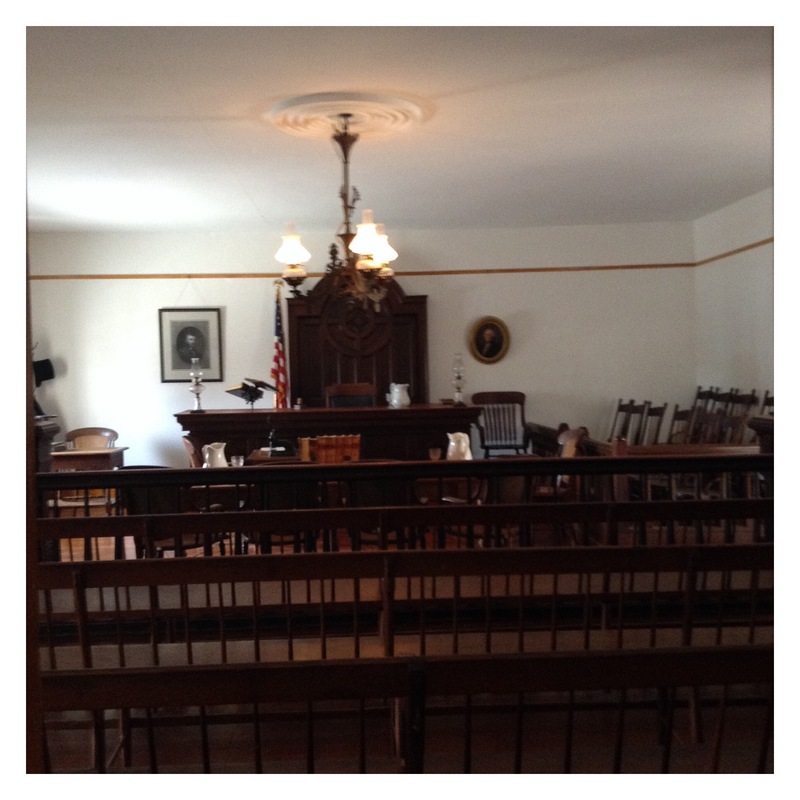 Also on the main floor is the fully furnished court room, complete with aisles of old chairs, books, and a Judge’s stand. 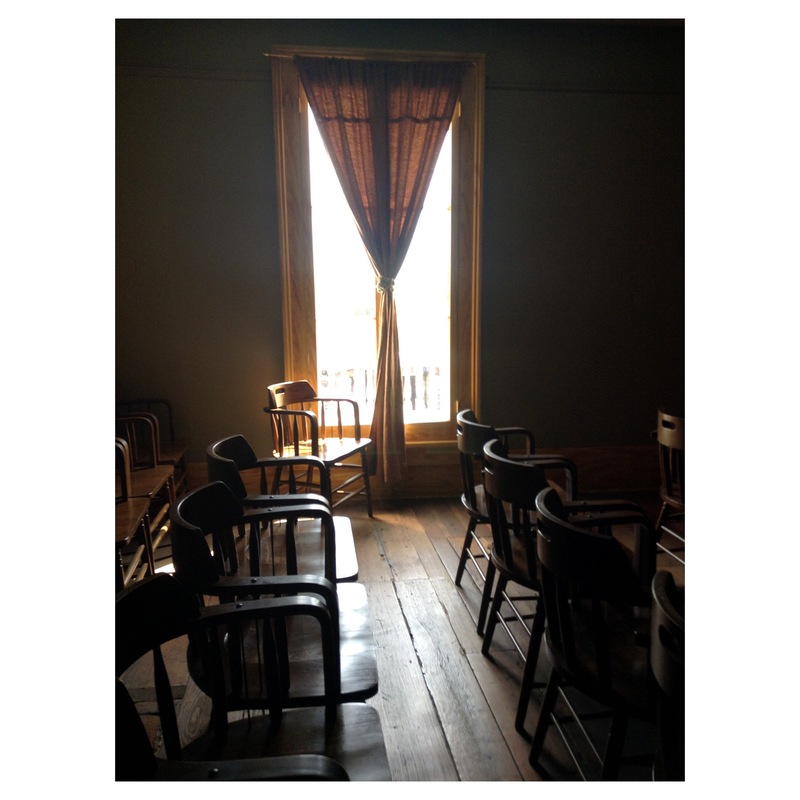 Honestly, I did feel a little uncomfortable in this room and I sat down in one of the old chairs near the middle of the room for a bit and I swear I had kind of a feeling of being watched from somewhere behind me in the back corner of the room. I was the only person in the room at the time, as my parents and brother had already moved into the kitchen area of the house. 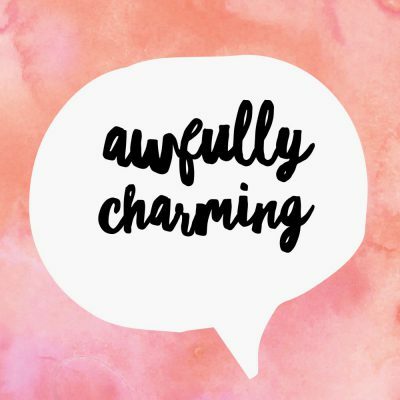 I don’t know if I was genuinely experiencing something or if it was because I wanted something creepy to happen in the house but I did feel slightly uneasy. 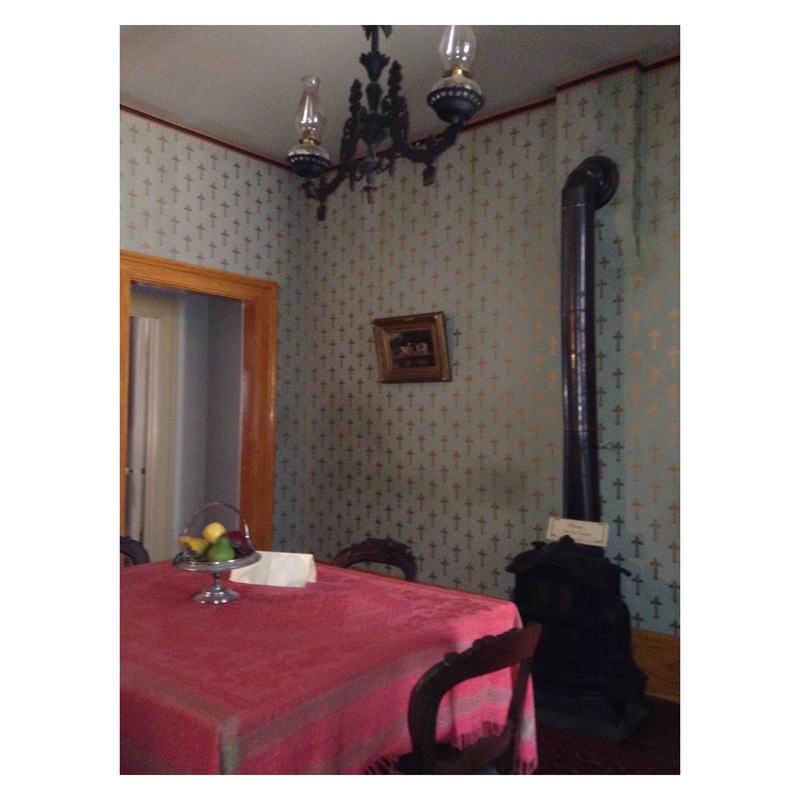 Other rooms on the main floor include an old sitting area type room, a dining room, and a kitchen. 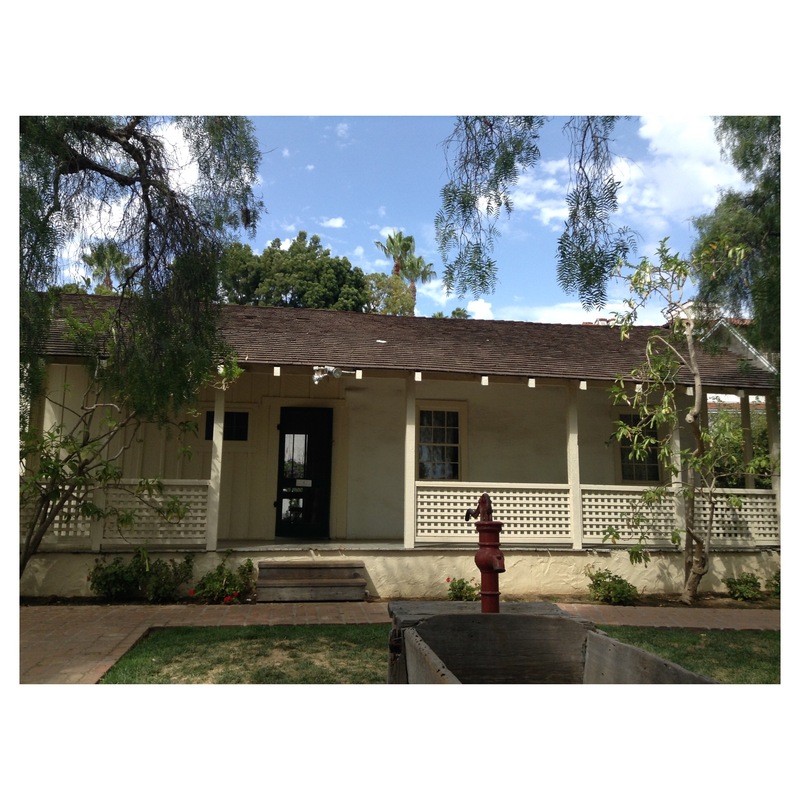 I was familiar with some of the history behind the hauntings in the Whaley House, one of the main sources being that one of the original home owners daughters attempted to kill herself in the back yard area of the house and when she was found near death she was brought into the kitchen where she died from her injuries. People have reported seeing a woman around the kitchen area. Unfortunately the area where the kitchen stands is blocked from entry and can only be viewed and not entered. 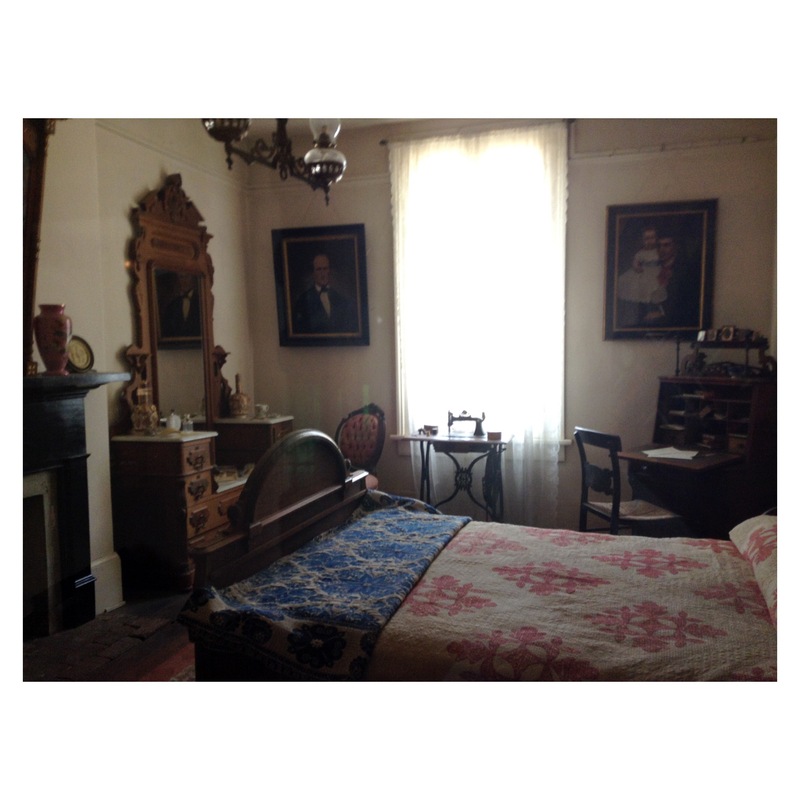 The second floor for me is where I felt most on edge; the bedrooms which were decorated with period items and furniture and displayed in a way that made it look as though they were being lived in which was very cool. 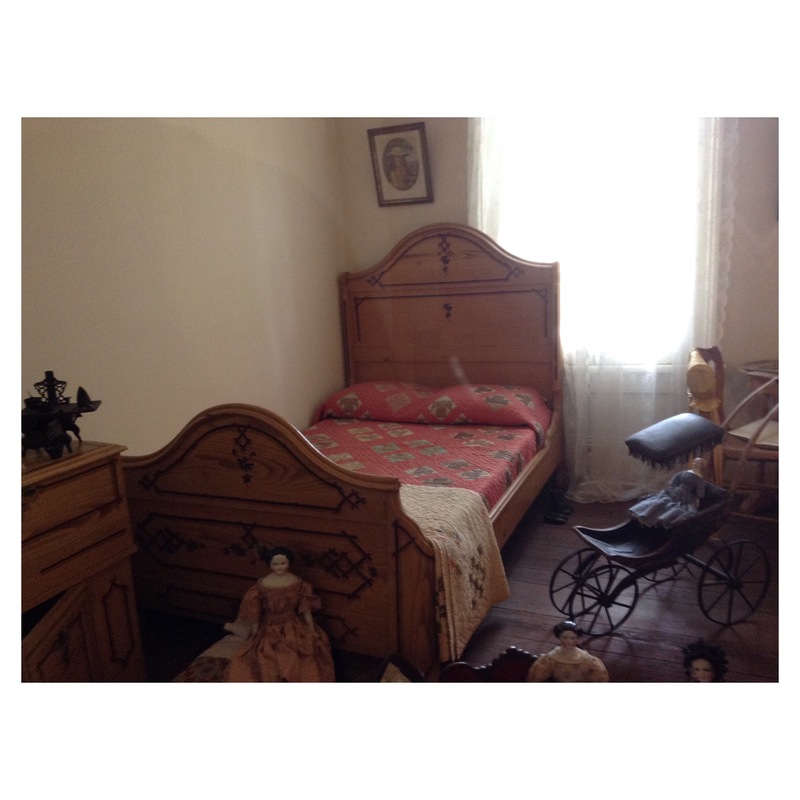 The room pictured above was decorated as a little girls room and I guess it was meant to have been one of the homeowners daughters bedrooms. 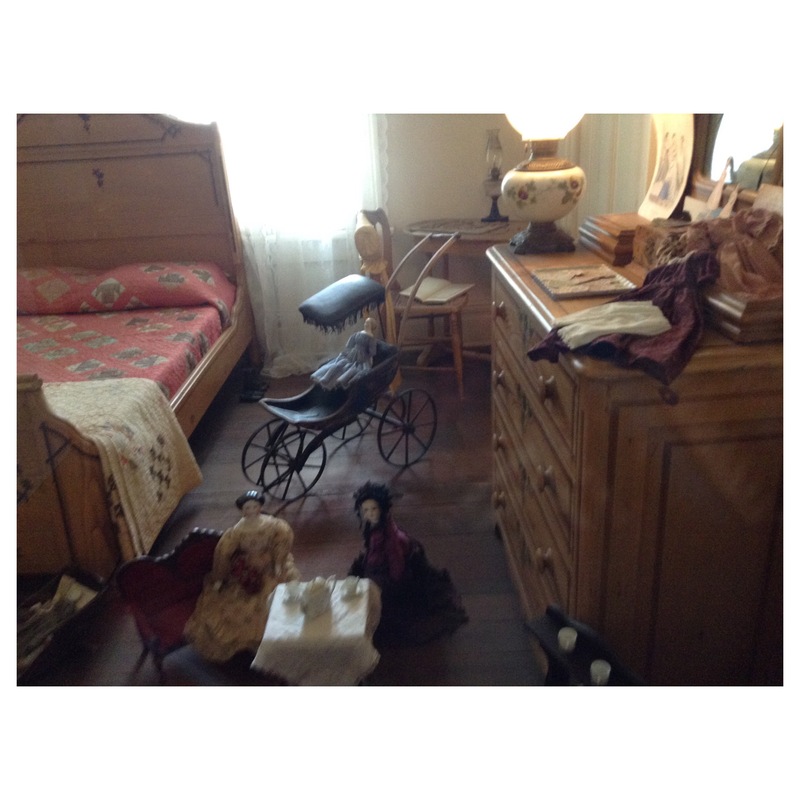 I never liked dolls, not even as a kid, so those porcelain dolls on the floor really creeped me out. 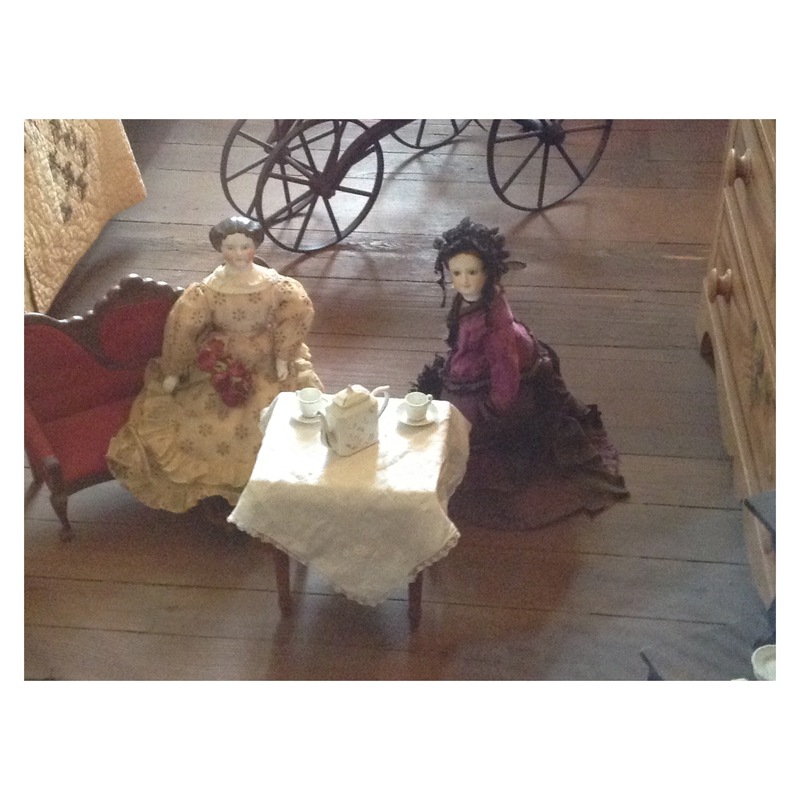 They looked like the types of dolls you’d find in horror movies that turn their heads or move positions when you aren’t looking. 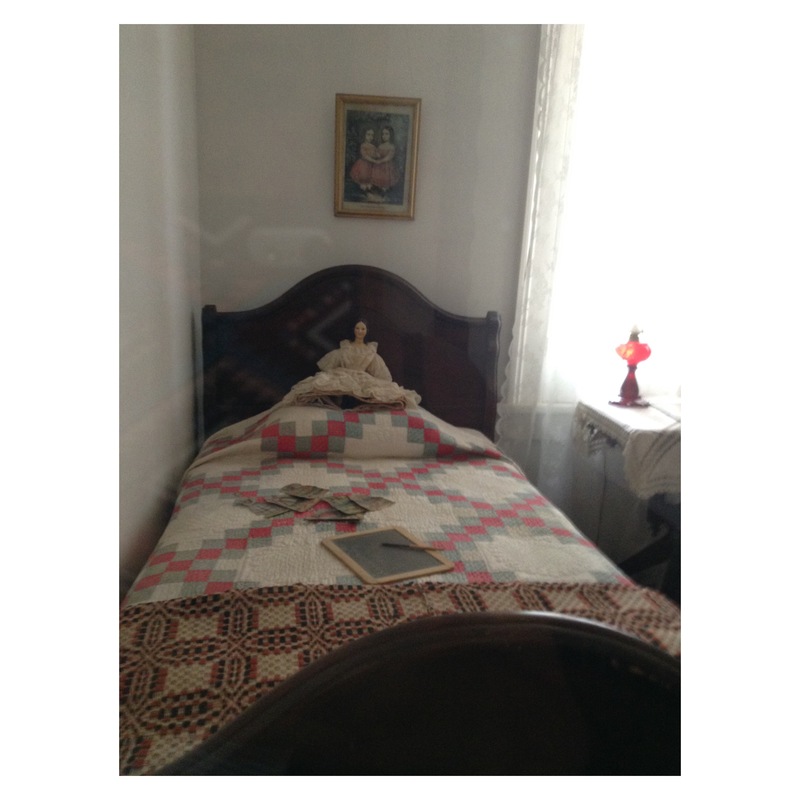 Pictured above is another child’s room, thankfully this one had less creepy dolls in it. 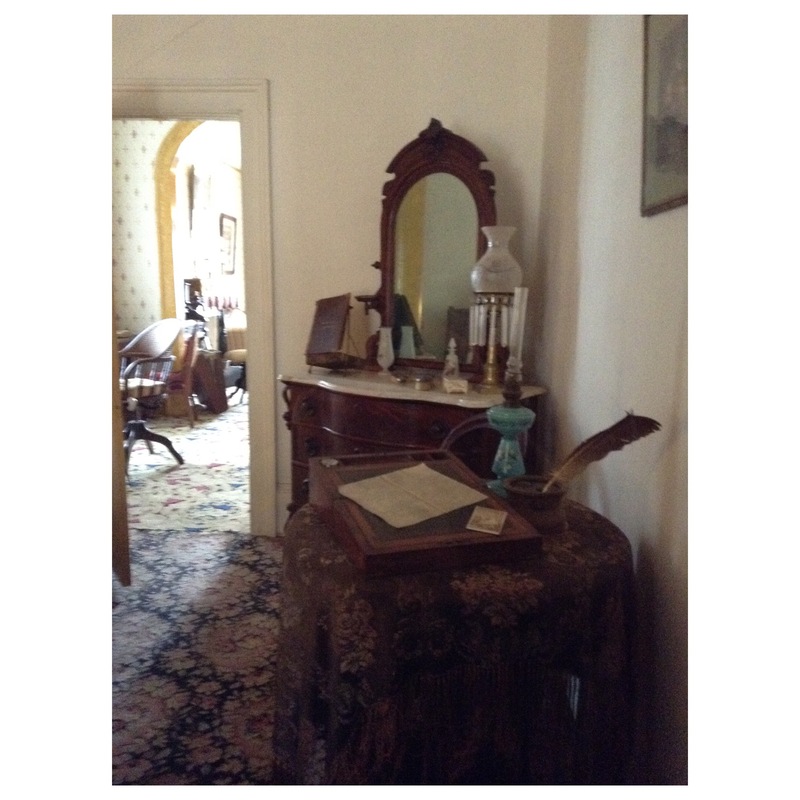 This last bedroom is what I’d call the master bedroom as you can tell it is an adult bedroom as it has a vanity which was probably the wife’s and a writing desk complete with old pens and paper. 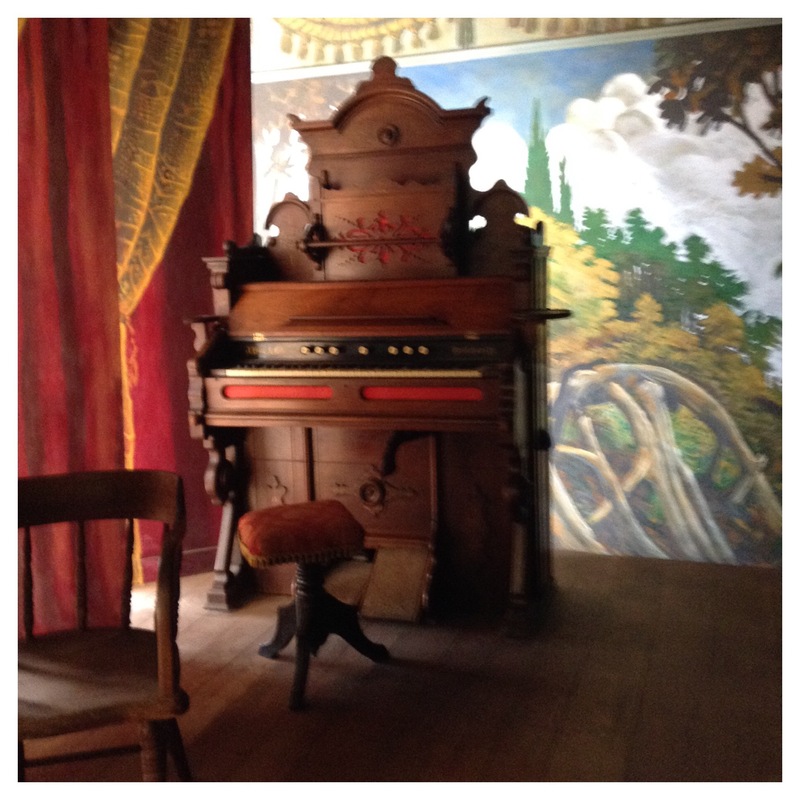 This last room which was in the corner of the top floor, was the old theatre room with a small stage and a piano. For some reason I felt really odd in this room as well and I can’t quite place why. Especially near the window which is why I snapped a picture of that corner of the room thinking maybe I’d capture something weird but nothing appears to be out of the ordinary in the picture. I didn’t experience anything I can confirm as being paranormal inside the house besides feeling a bit odd in certain areas but it could have been all in my head. 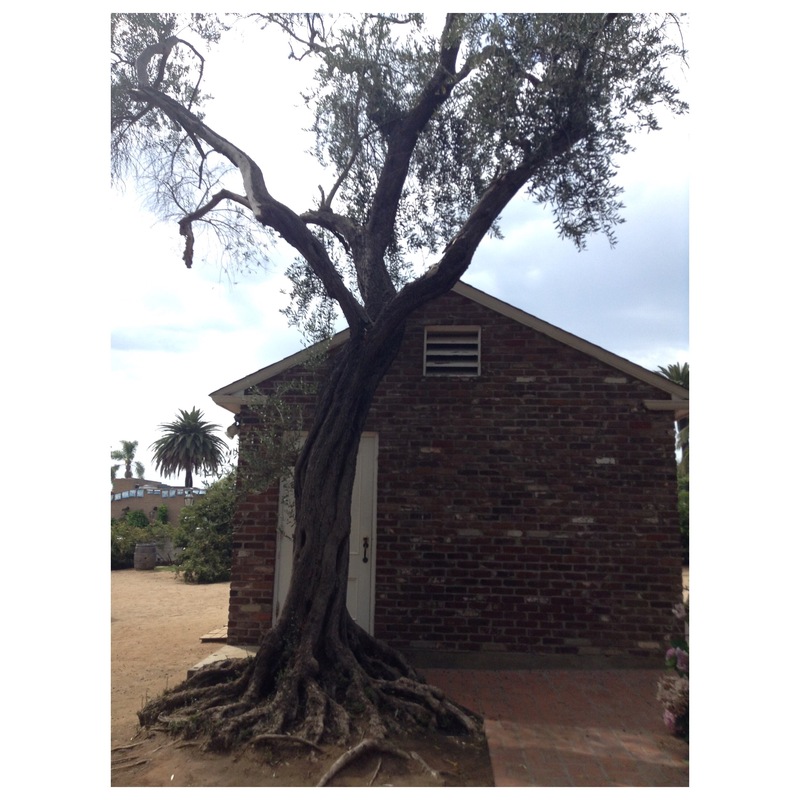 However, I experienced something weird outside of the house, on the property in back, where a giant tree stands and two small shed like buildings which I assume were the outhouses and possible maids quarters. For some reason, after leaving the house I felt compelled towards the back courtyard area. 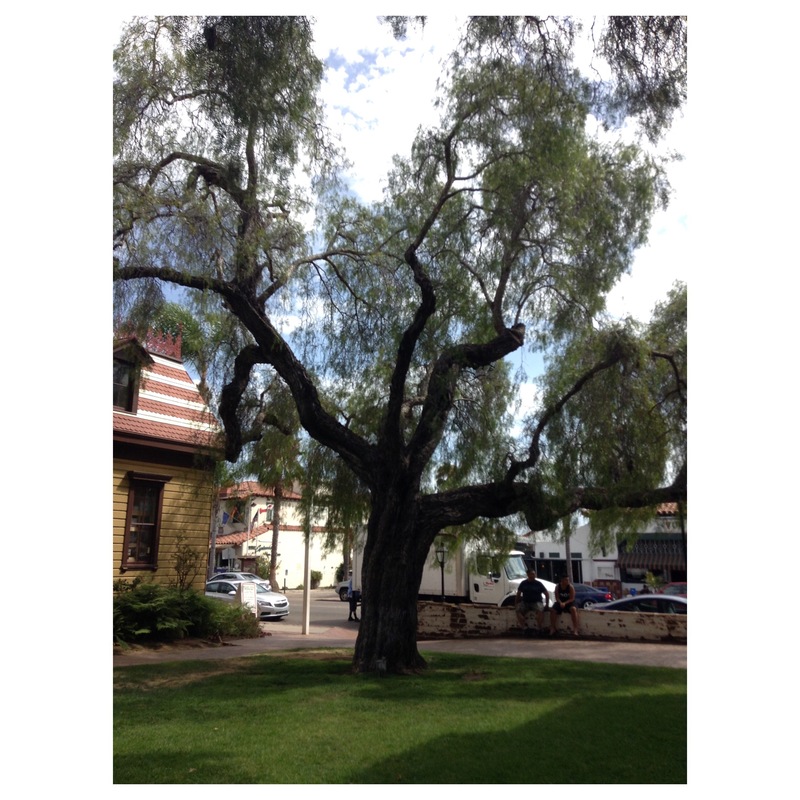 I walked near where the giant tree stood and suddenly for some reason I started to have a feeling that there was a hanging that took place in that area. My mom was walking behind me and I told her that I thought maybe someone had been hung there and she told me to ask the person working inside if she knew the if a hanging or something similar had happened there. When I asked , I was actually told that the land the house was built on had actually been the town hanging ground before the land was purchased by the original homeowner. I got goosebumps. I did my own research after returning to the hotel and found verification on what I had been told. 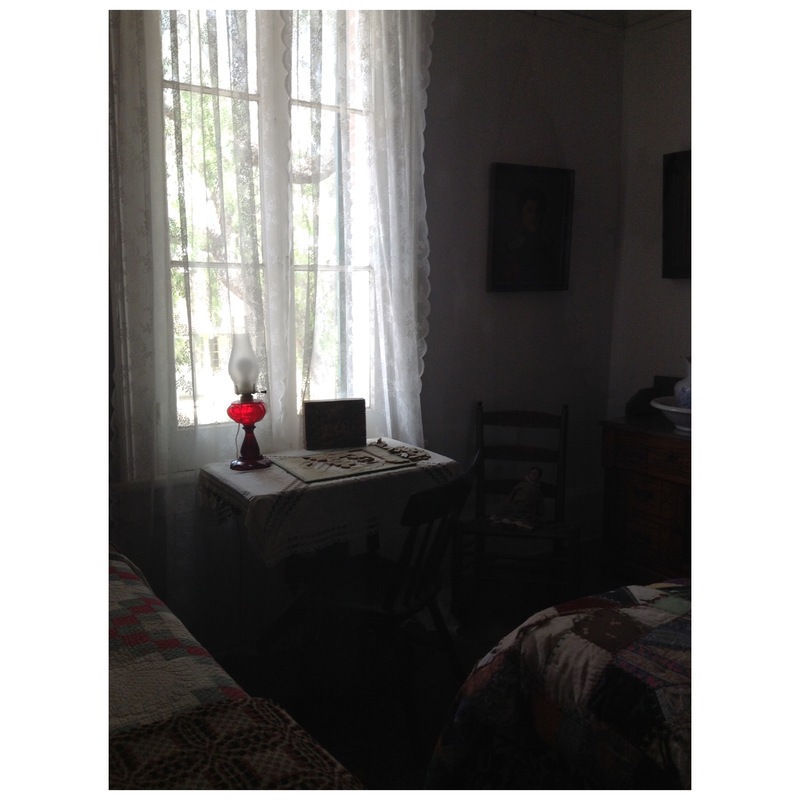 I really wish I had more time at the Whaley House to do some more exploring, or to be like one of those paranormal investigators and spend the night. I definitely need to go back and fulfill more of my ghost hunting dreams! This was fun to read, the house sounds so interesting and creepy! Thank you! I’m glad you enjoyed it! 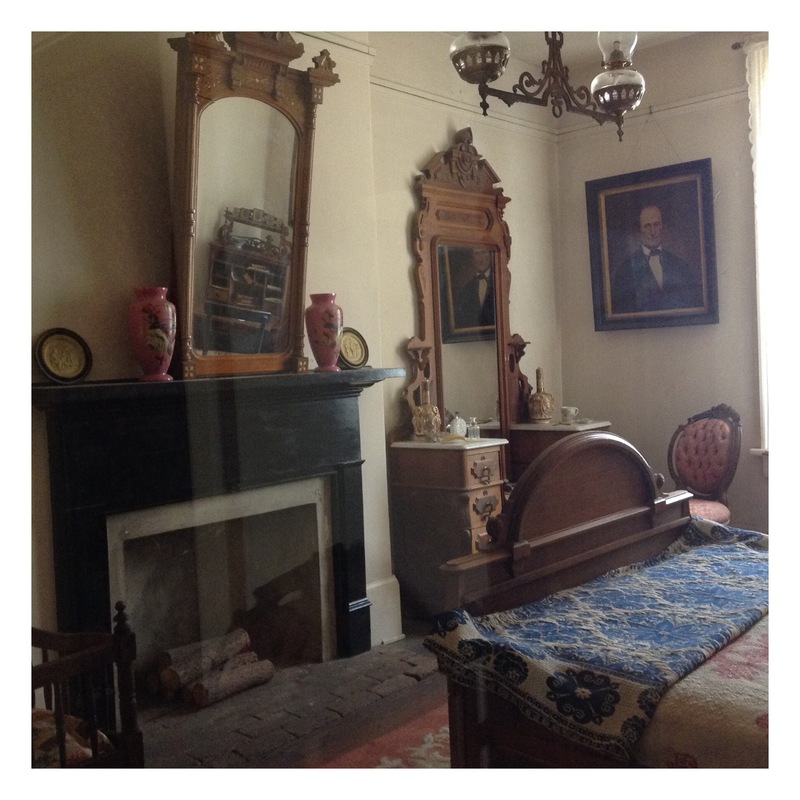 😊 The house was super creepy (which is how I hoped it would be) and I’m dying to visit it again! I can feel chills creeping down my spine just from looking at the pictures! It must have been quite the experience to be there in person! It was! It’s very creepy to walk through, especially if you go in alone! I definitely reccomend it!